I wanted to share my most recent three-day weekend getaway with you … it was our third trip to sin city Las Vegas this year. I’m not a big fan of 8 hour drives for a long-weekend getaway however my wife loves them. She has every right to … I do the driving and the car has Wi-Fi so she’s happy Googling the entire trip. Our trip was planned several months back to see two of our favorite comedians performing together at the Mirage … David Spade and headliner Ray Romano. Our trip started out early Friday morning. Since there was a big “I Heart” event at T-Mobile Stadium with U2, Sting and several others … we thought we would pick up a lot of traffic on Interstate 15 for those coming from LA so we left early. Our trip starts out at 5AM at our favorite Starbucks. Once again, we took the same direction as our previous trip … 101, to 152 on to Interstate 5. Of course one of our favorite breakfast stops is the coffee shop at the Harris Ranch Resort. We continued along Interstate 5 then over to 99 briefly to get to highway 58 which will take us through Bakersfield on to Barstow before hoping on to Interstate 15. We did get some construction traffic, we probably lost an hour on highway 58. Finally, we made it to the Strip around 3:30. We decided to stay at Treasure Island this time. As usual, the check in lines we’re very long, however they move fast. While checking in, I inquired about upgrades, they we’re pretty full … after, a conversation with the manager, they we’re able to get us in one of their Suites. It was probably around 900 square feet that included two full bathrooms, my only complaint … they really need to update some of the furniture, it’s very outdated. Tonight, dinner would be at one of our all-time favorites places to eat in Vegas … Joe’s Seafood Prime Steak and Stone Crab located in the Forum Shops at Caesars Palace. As usual, everything was perfect. 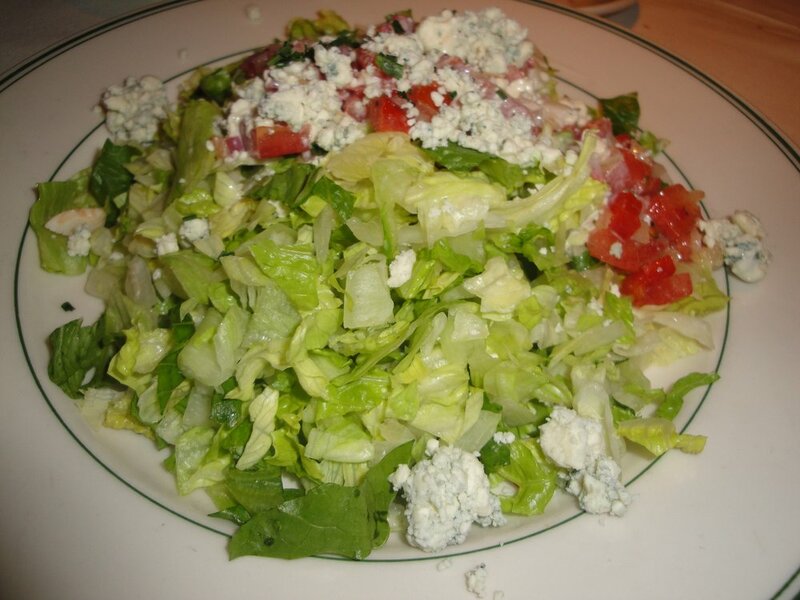 We started out sharing one of their huge and delicious Chopped Tomato, Onion and Blue Cheese Salads. As a side, we chose their Four Cheese Mac & Cheese … our first trying from Joe’s, I must say, it doesn’t compare to Morton’s’. For our main meals, my wife enjoyed the Filet Migon & Crab, while I dove into a thick juicy, 16 oz. Rib Eye. 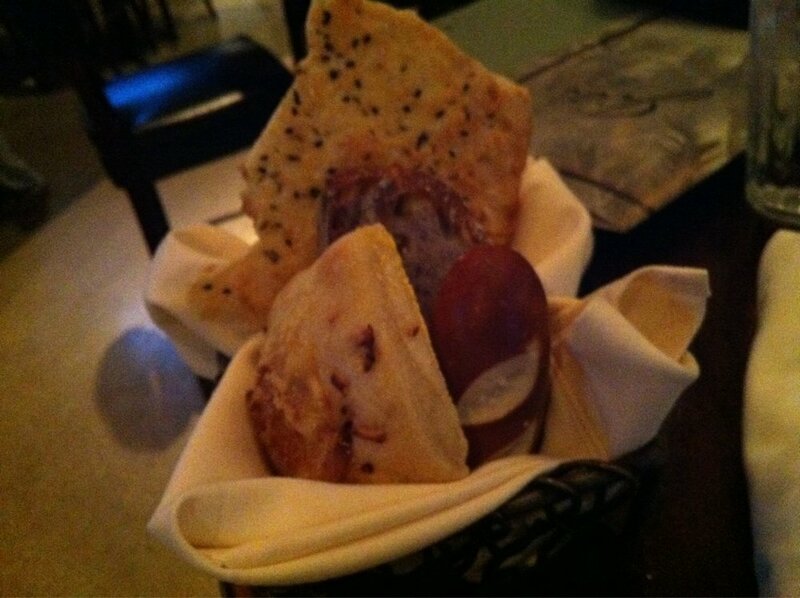 I rarely, eat red meat, however when I do it needs to be good … tonight it was good! 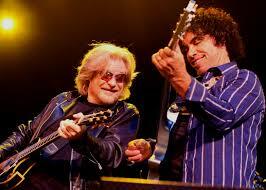 After dinner, we walked over to the MGM … tonight we had tickets to see Daryl Hall & John Oates sing their classic hits. It was the final city of there 2016 tour. Even with the “I Heart” event in town, the MGM Garden Arena was filled to capacity with nearly 17,000 fans. We were a little late to see the opening act however caught the next act. Trombone Shorty & Orleans Avenue. Trombone Shorty, also known as Troy Andrews is a very talented 30-year-old from New Orleans. He is best known as a trombone and trumpet player but also plays drums, organ, and tuba. 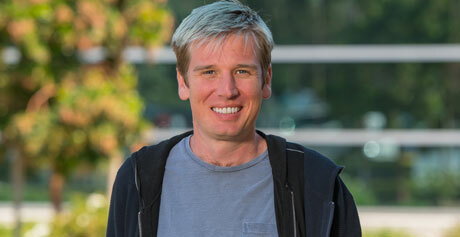 He has worked with some of the biggest names in rock, pop, and hip hop and of course jazz. He’s an American musician, producer, actor and philanthropist who gives back to the city of New Orleans. 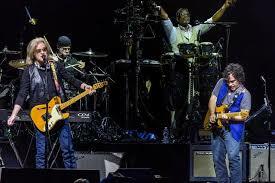 I thought it was really cool, that names like Hall & Oates have them opening for them. These guys played their heart out. I’m looking forward in seeing them again next year when they come to the Bay Area, opening for the Red Hot Chili Peppers. It’s Saturday morning, we didn’t have a lot planned since we had a couple of more concerts tonight. We really wanted to do the Area 51 tour, however it wasn’t available today. 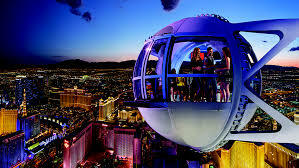 No worries, it’s Las Vegas, it’s easy to walk around and people watch and of course, why not go on the world tallest Ferris wheel … the tallest at least for now. The news is that there’s already plans in New York to build one taller. 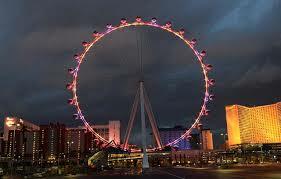 Construction began September of 2011 for the “High Roller” Ferris Wheel and was supposed to be completed in 2013. It wasn’t finished until February 2014 and opened on March 31, 2014 at a cost of $185 million dollars. You get a lot of great views in the 30-minute ride for a mere $15 bucks. 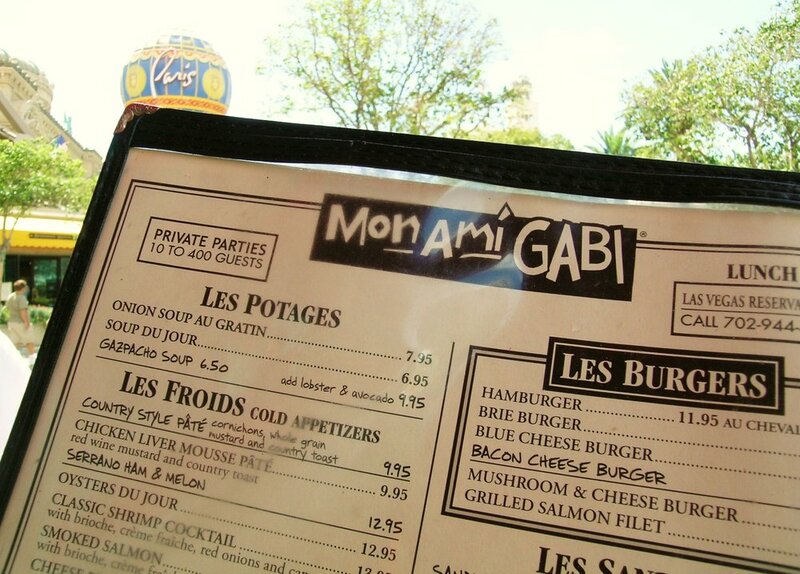 Today, we had a late lunch at Mon Ami Gabi located at the Paris Hotel. We had the perfect seat outside to take in the Water show across the street at the Bellagio. Only problem, we really over did it at lunch, the food was incredible, so we passed on dinner. We had reservations at the revolving restaurant located at the Stratosphere Hotel, but we just couldn’t eat any more. Tonight, our first show was at 8PM at “The Colosseum” at Caesars Palace to see Celine Dion. Her show was basically a fill for us since David Spade and Ray Romano wasn’t until 10PM next door at the Mirage. Going in to see her, we had no expectations, coming out, this entertainer is very down to earth and an incredible singer. She shared a lot of her life with the audience, the good and the sad, she really knows how to connect with her fans. Next up David Spade and Ray Romano at the Terry Fator Showroom at the Mirage. Ray Romano has been at the Mirage for a few years now. 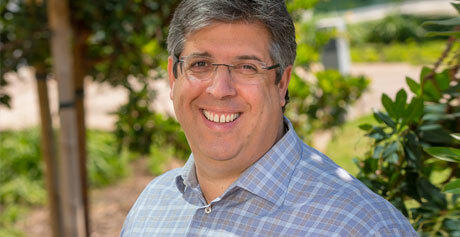 In the past he’s teamed up with a couple of our favorites, Brad Garrett and Kevin James. 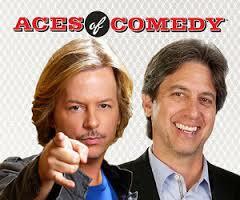 I’m glad he’s now brought David Spade who’s a favorite of mine from Saturday Night Live. Both do great stand-up comedy. After each did their own thing, Romano, brought Spade out again. They exchanged jokes and took questions from the audience. They offer a good balance act … Romano with his “Everybody Loves Raymond” family humor along with the sarcasm of David Spade … it was nice hearing some of the old piece’s form “Saturday Night Live” … if you happen to see them together, all I can say is be prepared to laugh uncontrollably for 90 minutes. Well, that’s your weekend getaway tip for Las Vegas … if anyone has made the drive, going through Reno and taking 395 let me know. I can use a change of scenery.